In the video, which was taken on March 8, you can see deer stuck under the net, with some of them bleating as they try to move around. Months later, Texas Parks and Wildlife has charged the woman who shot the video with criminal mischief and harassment after she freed two of the deer. 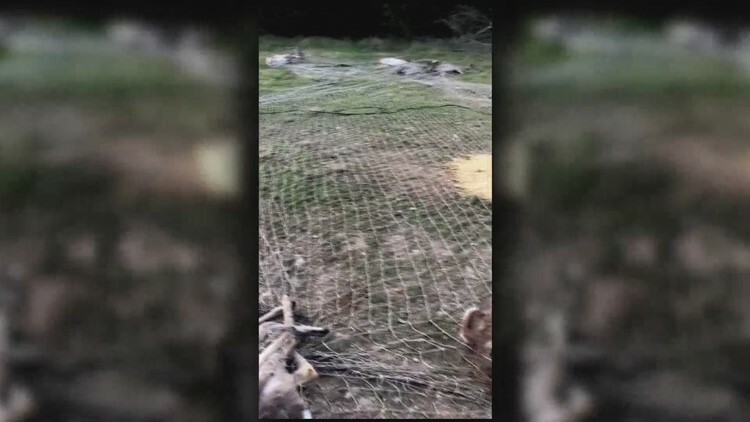 LAKEWAY, Texas — A Lakeway woman is facing criminal mischief and harassment charges, months after her cell phone video of deer stuck in a trap set by workers the city of Lakeway hired to control overpopulation went viral. In the video, which was taken on March 8, you can see deer stuck under the net, with some of them bleating as they try to move around. Ashlea Beck, a Lakeway resident, shot the video after her children discovered the trap near her home. Angry with what she saw, Beck cut part of the net and released two deer. “I think they should do it away from kids, away from families,” Beck told KVUE in an interview on March 14. Citizen Advocates for Animals of Lakeway president Rita Cross told KVUE she thinks Beck’s punishment is too harsh. “She was in shock, she was trying to protect her kids and the deer, and she released two of them when she cut the net,” Cross said. Cross thought TPWD would give Beck a warning or a fine. “But they didn’t. They teamed up with the city of Lakeway, and they teamed up with the trapper himself, and they all agreed that she should be charged,” Cross said. Cross just wants what she calls animal cruelty out of the city of Lakeway. Beck is facing two class B misdemeanor charges. Each carries 180 days in jail or a $2,000 fine. City of Lakeway officials told KVUE in March they were done trapping deer for the rest of 2018. (KMSP) – Arby’s, the restaurant chain that claims “We have the meats,” is bringing back its venison sandwich for hunting season for a second year. The restaurant chain tested its venison sandwich in five popular hunting states, including Minnesota and Wisconsin, last year. The venison sandwich, featuring thick-cut venison steak and crispy onions topped with a juniper berry sauce on a toasted specialty roll. Arby’s claims the sandwich was so popular it sold out within hours. This year, Arby’s is releasing the venison sandwich nationwide. It will return to the menu on Oct. 21 and be available until supplies last. The success of the venison sandwich has prompted Arby’s to add another game meat to its menu. A limited edition elk sandwich, featuring an elk steak topped with blackberry port steak sauce and crispy onions on a toasted specialty roll, will also be available at three locations in the popular elk hunting states of Colorado, Wyoming and Montana. 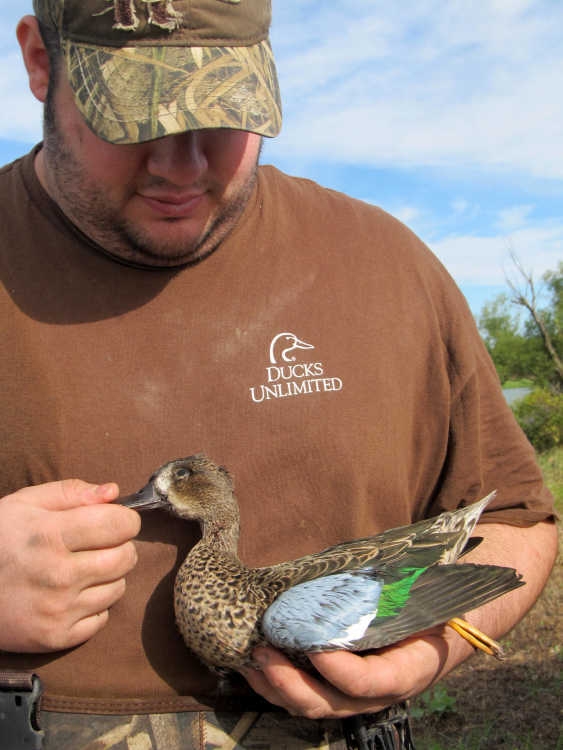 Daniel Smith, Seymour, Holds his first teal of the 2016 season while hunting at the Schell-Osage Conservation Area. Opening day of the small migrating birds season started Friday. As usual, some cool nights have nudged the doves to pack up and head south. “I have seen more doves this year than in a long time,” said Jim Lawson, a 67-year-old Missouri dove hunter. Lawson like a lot of other dove hunters, who also like to fish, hunts near a farm pond or utilizes small water holes. So when the birds aren’t flying, he can at least go fishing. Another plus of the early dove season is that you can locate where the blue wing teal are working, so on opening day (Sept. 9) of the early teal season, you have an idea where they are or aren’t. Last year Lawson said he even added a snipe to the teal he bagged. Waterfowl officials are predicting another good flight of teal that will be heading south this year. Already, there are a sizable number of these small ducks in the state. The teal season that opens Sept. 9 will run through Sept. 24. with a daily limit of six teal and possession limit after opening day of 18. 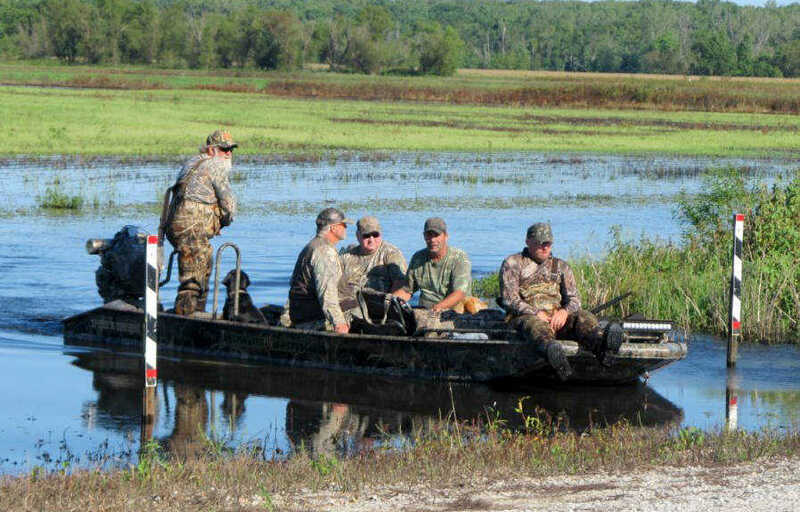 Teal hunters will have from sunrise to sunset to get their limit of a half-dozen teal this season and, in most of the state the water and food conditions are good. Some places, however, including the Schell-Osage Wildlife Area, have too much water at present. One observer said it looks more like Truman Lake instead of Schell. It remains to be seen what effect the high water will have by the time the regular duck season opens later, but right now there are only a few teal in the area. A boatload of successful teal hunters pulls into short after an opening day hunt 2016 at Schell-Osage Conservation Area. Things will be different for the opening day, Sept. 1 as the lake is very high and few teal on using the area. As usual, both snipe and rail season also started on Friday. There are a lot fewer hunters out for these two migrants. It’s a big difference between a rail and snipe. The rail is a slow flying small bird that can be found in weedy marshes. It has a short flight and often by the time a hunter shoots, the bird has already dropped back into the marsh. Hunting them by wading in knee-deep water with mosquitoes buzzing around, looking for a bird the size of a common blackbird with the temperatures hovering near 90 degrees doesn’t appeal to most hunters. The daily limit on these small birds is 25 with the possession limit 75 after opening day. The snipe, yes, there is such a bird, is a much different target than the rail. This fast flying bird with a long beak, is a challenge similar to the dove. It is usually found near the shore of ponds or small lakes looking for food. The snipe season opened Friday and will run through Dec. 16, with a daily limit of eight birds. Although fishing is still going strong, hunting seasons will be popping up like spring mushrooms. As always, here in Missouri, we have a lot to look forward to in our outdoors. The public has one last chance to tell the Washington Fish and Wildlife Commission the concerns about upcoming hunting rule change proposals in person at the commission’s March 17-18 meeting in Olympia. The most notable proposed changes include the elimination of several special elk areas in and around Grays Harbor County, increasing the bag limit for white-fronted and white geese to address their growing abundance, and allowing the restoration of points to hunters who draw a permit for a damage hunt but are not called on to participate in a hunt. The meetings are set to commence at 8 a.m. both days, with a public comment starting each session. There will also be a public comment period after each presentation, each featuring a different segment of proposed hunt rules changes. The meetings will be held in Room 172 of the Natural Resources Building at 1111 Washington St. SE in Olympia; a complete agenda is available at http://wdfw.wa.gov/commission/. All the proposed changes are available for review at http://wdfw.wa.gov/hunting/regulations/seasonsetting. Some areas of interest for local hunters include a10:40 a.m. presentation Friday about the elimination of several elk areas, including the Tri Valley, South Bank, Chehalis Valley and Willapa, meaning the land within those areas will be reabsorbed into their respects Game Management Units and fall under the same rules governing those units. Following that at 11:05 a.m. will be a discussion of general deer seasons and deer and elk special permits. The migratory bird hunting presentation will be at 1:40 p.m., where the public can hear about proposed bag limit changes for several species of geese, among other changes. Final action by the commission on the proposed recommendations is scheduled at a public meeting April 14-15 in Spokane. The commission will also be briefed on a few other topics, notably the Willapa Bay salmon management plan and its adaptive management objectives, scheduled for 11:45 a.m. Saturday. Also among the briefings will be in-season management of Puget Sound salmon fisheries and bird dog training at two units of the Snoqualmie Valley Wildlife Area. Prior to the regular meeting, the commission will have its annual meeting with Gov. Jay Inslee March 16 at 3 p.m. in the Governor’s Office. 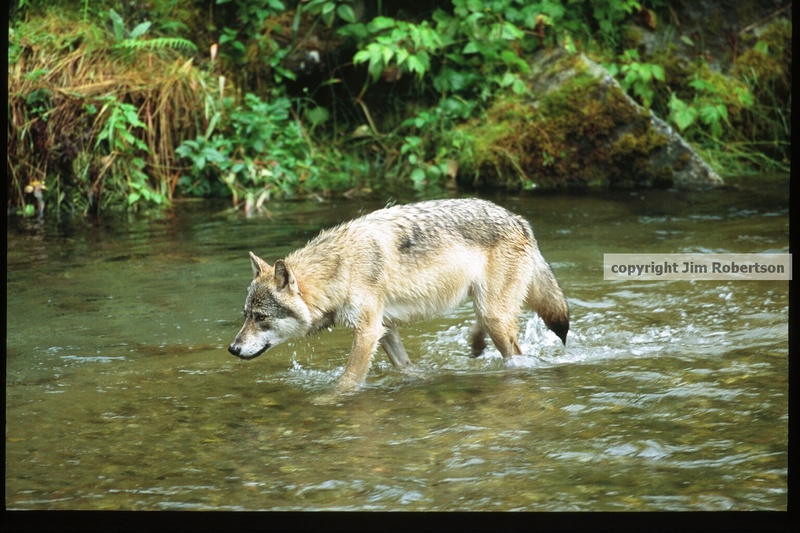 Wildlife managers also will provide an update on the status of wolves in Washington and actions the department took in 2016 to implement the state’s Wolf Conservation and Management Plan. In addition, the commission will be briefed on a petition the federal National Oceanic and Atmospheric Administration received calling for a protection zone for southern resident killer whales off the coast of San Juan Island. A lot of noise has been made about the 19 elk killed last month by a pack of wolves in Bondurant. What has been lost throughout much of the coverage are the facts about what actually led to this extremely rare occurrence. Behind the headlines is a manmade story. To be able to understand what went down that night in Wyoming, these facts need to be understood. To begin with, the elk in question were killed on a feedlot. Just like cattle, in Wyoming elk have feedlots as well. Picture anywhere between a few hundred to a few thousand “wild” elk standing around waiting to be fed. Wyoming has elk feedlots all over the place. Come winter, these feeding grounds shovel out bales of hay for the elk like they are livestock. Elk are heavily concentrated in these feedlots, fed all winter long, and have learned to just stand around waiting for their daily handouts. So why does Wyoming feed elk in the first place? 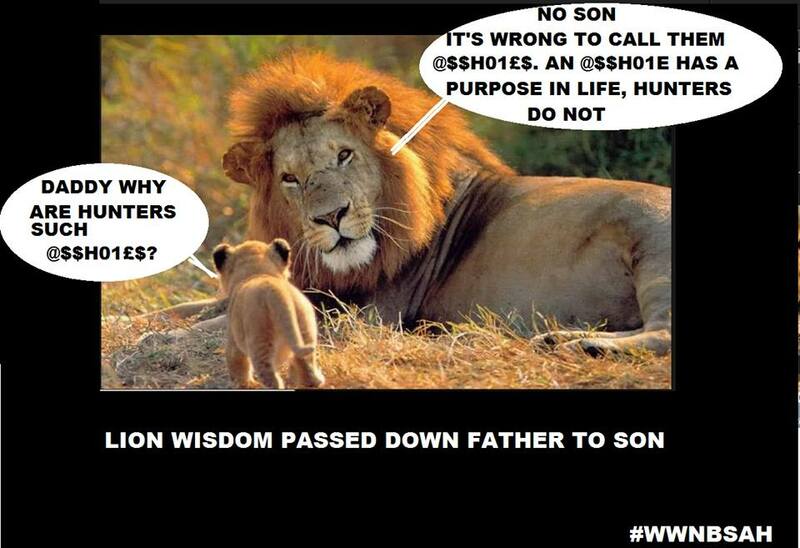 Is it because predators in the ecosystem are killing so many? No. Wyoming actually considers elk to be overpopulated. This practice was started in part to keep elk from competing with cattle back when predators across the Rocky Mountains were at their lowest numbers. In the absence of predators, elk populations exploded. Come winter, these animals would flood onto ranches in search of food, gorging themselves on stocks of hay. When elk hunting became big business in the West, winter feeding turned into a practice similar to stocking rivers with fish. People in the West love hunting elk. It’s like a religion out here. So the state feeds elk to insure higher numbers make it through the winter. In other words, elk feedlots unnaturally inflate the numbers to help sustain a population that is heavily hunted by humans. So what has all this done to the elk? Quite simply, elk no longer act like elk. Given that these animals have grown up in a relatively predator-free environment for nearly 100 years, elk are now being forced to come to terms with the reality of predators again. And in order to survive, lesson number one is not to stand around in groups of a several thousand, in one place, for months on end waiting for handouts from humans. So what did the wolves do? They committed what is known as surplus killing. Occasionally, when prey is so plentiful, predators will kill multiple animals in one go. Scientists state that when faced with a bonanza such as the feedlot provided, wolves may kill with the intention to return as often as that food is available. HUNTSVILLE, Texas – A Texas man was executed Wednesday evening for fatally shooting a game warden nine years ago during a shootout after a 90-minute chase that began when he was suspected of poaching. James Freeman, 35, was asked by the warden if he had a final statement. “No, I do not,” he replied. 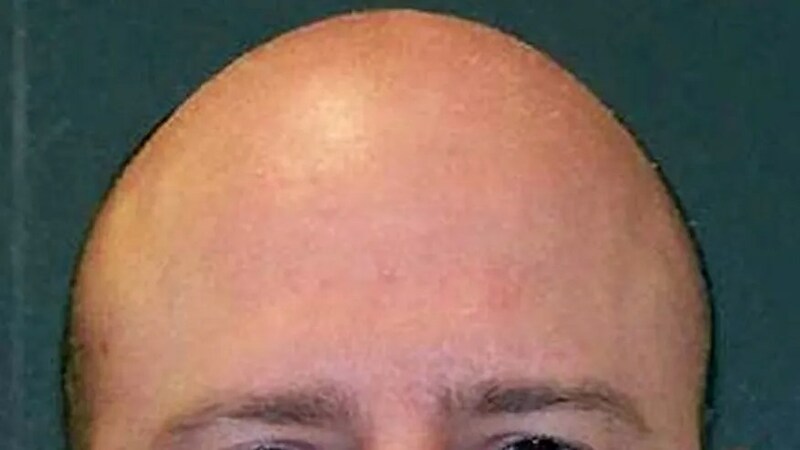 He was pronounced dead at 6:30 p.m., 16 minutes after Texas prison officials began a lethal dose of pentobarbital. As the pentobarbital began taking effect, he snored about five times and coughed slightly once. The lethal injection was the second in as many weeks in Texas, which carries out capital punishment more than any other state. The U.S. Supreme Court declined to review his case earlier this month, and no new appeals were filed in the courts to try to block the punishment. The Texas Board of Pardons and Paroles on Monday declined a clemency petition from Freeman. Freeman was suspected of illegally hunting at night in Southeast Texas’ Wharton County when a game warden spotted him. Freeman sped away, leading authorities on a chase that reached 130 mph. It ended near a cemetery near his home in Lissie with Freeman stepping out of his pickup truck and shooting at officers. He emptied his 11-shot .357-caliber handgun, then switched to an AK-47 assault rifle with a 30-round clip. When the March 17, 2007, shootout was over, Freeman had been shot four times and Justin Hurst, a Texas Parks and Wildlife game warden who had joined in the pursuit, was fatally wounded. It was Hurst’s 34th birthday. About 100 law enforcement officers, many of them Texas game wardens, stood outside the Huntsville prison, during the execution. Also outside were several motorcyclists who support law enforcement, the loud revving of their bikes clearly audible as the punishment was being carried out. The brother of the Texas slain game warden thanked the law enforcement officers for coming to Huntsville. “Nine years ago — nine long years,” Greg Hurst said after the execution, his voice cracking with emotion as he spoke of his brother’s death. Hurst was an alligator and waterfowl specialist before moving to law enforcement. A state wildlife management area where he once worked in Brazoria County and about 60 miles south of Houston now carries his name. Freeman’s trial lawyer, Stanley Schneider, said heavy alcohol use and severe depression led the unemployed welder to try to commit “suicide by cop” in his confrontation with officers. The Texas Department of Criminal Justice has at least eight other inmates set to die through July. Last year, 13 convicted killers were put to death in Texas, accounting for nearly half of all the 28 executions carried out nationwide. has been an outspoken advocate for anglers and hunters during his 14 years on the Fish and Game Commission, a powerful state board tasked with listing endangered species and setting the hunting and fishing regulations enforced by California’s armed game wardens. But Kellogg, 72, resigned from his post in December. The frustration became too much, he said, with unfounded environmental concerns continually trumping the history and traditions of hunters and anglers, both on the commission and in the state at large. Kellogg’s sudden departure has created angst among a camouflage crowd still smarting from recent political losses including a ban on lead hunting ammunition and the listing of wolves under the state Endangered Species Act. And Kellogg’s seat isn’t the only one Gov. Jerry Brown needs to fill on the five-member board. Commission President Jack Baylis – whom hunters and anglers saw as less friendly – also recently resigned for unrelated reasons. Sonke Mastrup, the commission’s nonvoting, but influential, executive director, stepped down late last year to take a job with the Department of Fish and Wildlife. But some hunters say they’re worried that Brown’s upcoming appointees will help complete the transformation of the commission from an organization that once advocated for sportsmen and women to one that’s philosophically more aligned with animal rights activists. “Right now, I’m very much concerned … because there is a strong and vocal group out there that is anti-hunting and fishing,” said Gary Flanagan, a hunter and angler from Granite Bay who serves on Placer County’s fish and game advisory board. Animal rights and environmental activists counter that the board’s mission has evolved over the decades to handle more complex duties than just regulating hunters and anglers, who make up a small percentage of the state’s population. There are about 1.7 million licensed California anglers and 250,000 hunters among the nearly 39 million people living in California. Critics say that Kellogg represented an uncompromising pro-hunting mindset on the commission that went practically unchallenged for decades. Animal rights and environmental activists in recent years also have successfully turned to the Legislature when the commission declined to enact bans on hunting bear and bobcats with hounds and on the use of lead ammunition. 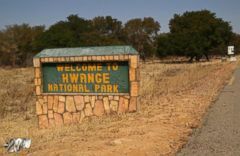 The groups say the bans put an end to hunting methods that were barbaric and contaminated the environment. Different factions are now lobbying Brown in the hopes he’ll appoint replacements favorable to their causes. Whomever Brown picks will play an important role in shaping state environmental policy, as well as the future of hunting and fishing. The commission’s endangered species rulings can impact mining, logging, dams, development and water use. The board has the authority to restrict human activities in off-shore areas, and it sometimes acts as an arbiter over disputes that can arise from Department of Fish and Wildlife permits and licensing. The state’s shifting priorities also can be seen in department name changes. In 2012, state lawmakers voted to change the name of the Department of Fish and Game to the Department of Fish and Wildlife, out of concerns the “game” was too hunter-centric and didn’t reflect the agency’s broader mission. The Fish and Game Commission sets policies for the Department of Fish and Wildlife. Thad Kousser, a professor of political science at UC San Diego, said appointments such as the ones to the Fish and Game Commission usually go unnoticed, but they are important. “The governor can really steer government a different direction by having the top layer of civil servants as people who agree with (his) vision,” he said. The three current members of the board are all Brown appointees. Commissioners are picked by the governor, but their appointments require state Senate confirmation. The board’s only hunter is Eric Sklar, a winery owner and former vice mayor of St. Helena. He said concerns about his fellow commissioners having it out for hunters are unfounded. Instead, Sklar said the commission has an obligation to respond to “non-consumptive users” when they raise legitimate concerns. Animal rights and environmental activists say Kellogg’s ideology harkens back to a day when the Fish and Game Commission was completely beholden to hunters and anglers. They also contend that the commissioners who overrode Kellogg on the issues of bobcat trapping and protecting wolves were responding to the demands of a more humane and sophisticated state. “All too often in the past we’ve seen commissioners basing their decisions on simply pleasing the hunting constituency, regardless of what the law or the science should dictate,” said Brendan Cummings, an attorney for the Center for Biological Diversity, an environmental group based in Tucson, Ariz., that has been among those advocating for less state-sanctioned killing of predators. Based on his mixed record on hunting, it’s difficult to predict whom Brown will appoint. Brown signed legislation in 2012 restricting the use of dogs in hunting bears and bobcats. He signed a measure the following year banning the use of lead ammunition in hunting. But he vetoed a proposal to ban the sale of certain semi-automatic rifles and has reacted skeptically to a ballot measure this year to further strengthen gun laws he says already are the strongest in the country. But Brown’s enactment of the lead ammunition ban that same year roiled hunters. They argued the bill would make bullets more expensive and difficult to find. Environmentalists had argued lead poses health risks to people and animals. Typically, hunting and fishing revenue and other related fees account for about a quarter of the Department of Fish and Wildlife’s total budget. Those funds accounted for about $133 million in the 2015 and 2016 budget. Hunter fees also provide a critical source of funding for wildlife refuges. She said in a state as liberal as California, hunters might want to consider dropping the “my way or the highway” style of no-compromise of lobbying and advocacy that’s used to great effect in more conservative states by organizations such as the National Rifle Association. She said that won’t fly in the Golden State. “They’re going to lose more by being that way,” she said. Bill Gaines, a longtime lobbyist for hunting and fishing causes, said California’s hunters need to do a better job of educating the public about how important they are to habitat and conservation funding. “The overlying majority of California’s urban public just doesn’t have an understanding of hunting at all and the positive benefits,” he said. As for Kellogg, he sees the shifting priorities disenfranchising hunters in California. When a controversial animal rights activist outed Dr. Walter Palmer as the hunter who killed Cecil the lion last month, the Minnesota dentist became arguably one of the most hated people in the world almost overnight. 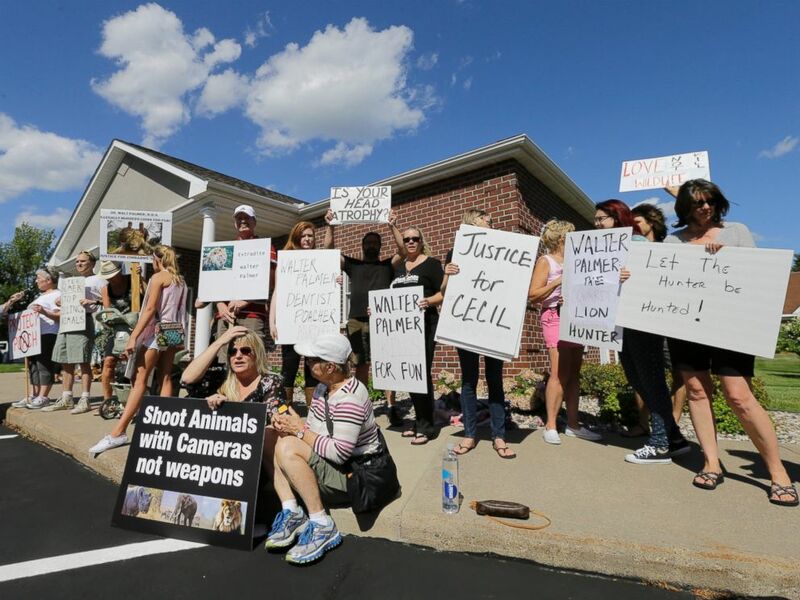 Soon after Cecil’s killer was made public, protesters showed up at Palmer’s dental office in Bloomington, Minnesota, waving signs that said things like “lion killer” and “justice for Cecil.” They started building a shrine of stuffed lions at his office front door. And last week, vigilantes vandalized his Marco Island, Florida, vacation home, covering his driveway with bloodied pigs’ feet. PHOTO: Protesters gather outside Dr. Walter James Palmer’s dental office in Bloomington, Minn., July 29, 2015. Palmer was the target of countless hateful and threatening Internet posts. Since then, the highly skilled bow hunter has remained out of the public eye. Rebecca Francis, a big-game hunter and bow-hunting expert from Wyoming, knows exactly how Palmer probably feels. 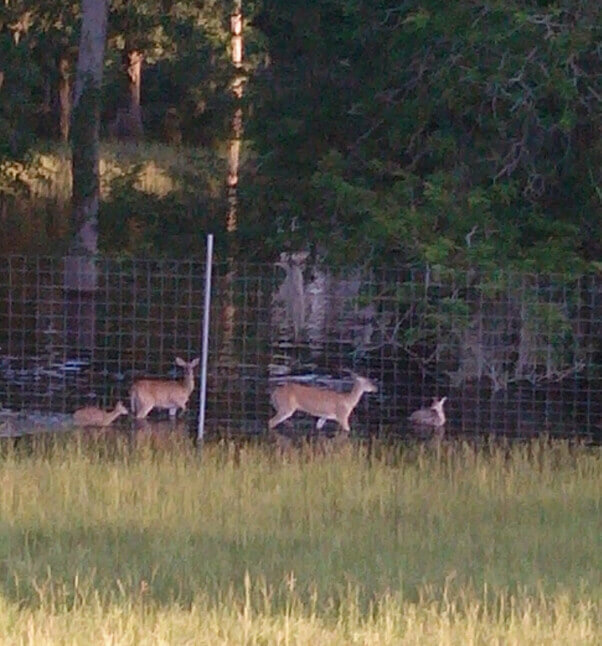 Allegedly, several deer are trapped in floodwaters at a game ranch in Pineville. Several does and fawns have been seen stuck along a fence line for days, unable to rest or lie down. Water levels are expected to rise several more feet, and these animals are in immediate danger of drowning! Officials have responded but apparently just chased away the does, who quickly returned for their young. In the meantime, we’re told that the game ranch owner is refusing to move the deer, even though other farmers in the area moved their animals to higher land days ago. Some of the most iconic photographs of Teddy Roosevelt, one of the first conservationists in American politics, show the president posing companionably with the prizes of his trophy hunts. An elephant felled in Africa in 1909 points its tusks skyward; a Cape buffalo, crowned with horns in the shape of a handlebar mustache, slumps in a Kenyan swamp. In North America, he stalked deer, pronghorn antelope, bighorn sheep and elk, which he called “lordly game” for their majestic antlers. What’s remarkable about these photographs is not that they depict a hunter who was also naturalist John Muir’s staunchest political ally. It’s that just 100 years after his expeditions, many of the kind of magnificent trophies he routinely captured are becoming rare. 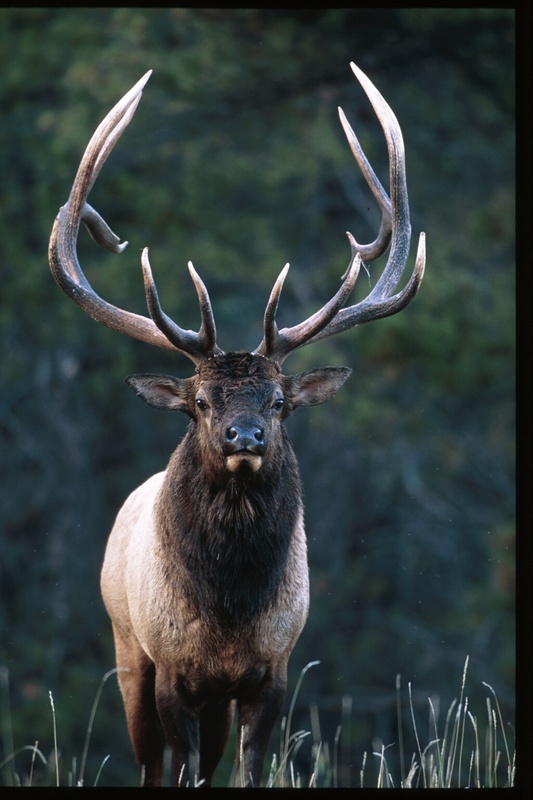 Elk still range across parts of North America, but every hunting season brings a greater challenge to find the sought-after bull with a towering spread of antlers. Africa and Asia still have elephants, but Roosevelt would have regarded most of them as freaks, because they don’t have tusks. Researchers describe what’s happening as none other than the selection process that Darwin made famous: the fittest of a species survive to reproduce and pass along their traits to succeeding generations, while the traits of the unfit gradually disappear. Selective hunting—picking out individuals with the best horns or antlers, or the largest piece of hide—works in reverse: the evolutionary loser is not the small and defenseless, but the biggest and best-equipped to win mates or fend off attackers. When hunting is severe enough to outstrip other threats to survival, the unsought, middling individuals make out better than the alpha animals, and the species changes. “Survival of the fittest” is still the rule, but the “fit” begin to look unlike what you might expect. And looks aren’t the only things changing: behavior adapts too, from how hunted animals act to how they reproduce. There’s nothing wrong with a species getting molded over time by new kinds of risk. But some experts believe problems arise when these changes make no evolutionary sense.